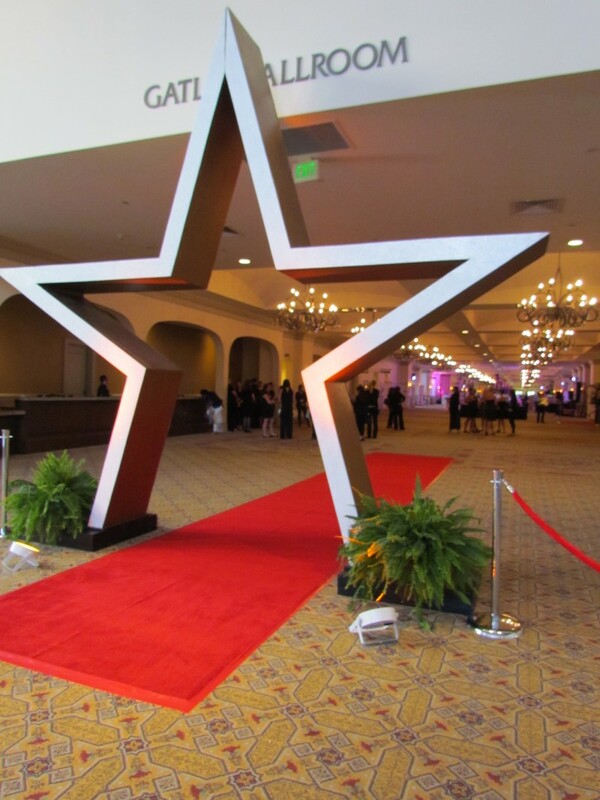 Upon arriving, guests were greeted by our Oversized Star Walk-Through that doubled as a photo op. The 12.5 foot high star was perfect for guests to capture their grand entrance before going to registration in the foyer. The walk through was completed with our red carpet runner, ropes, and silver stanchions. There was even an attendant stationed at the star to take pictures of guests as they entered the gala. 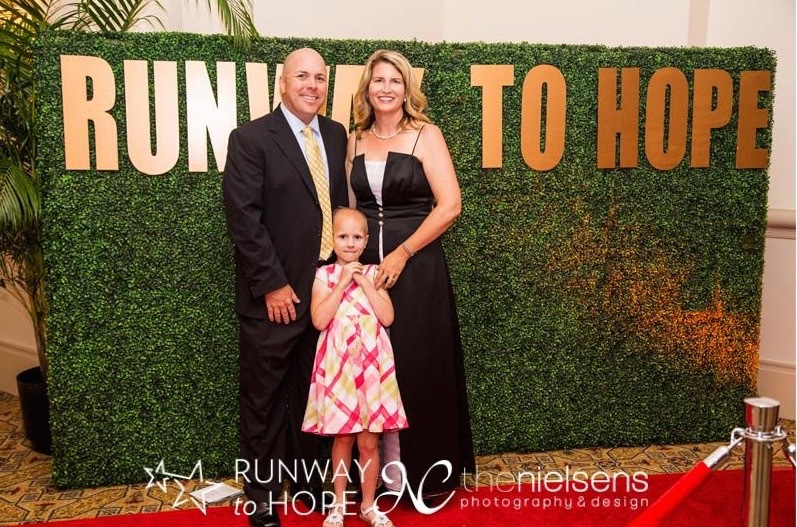 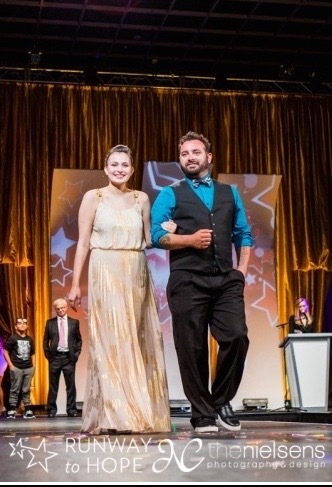 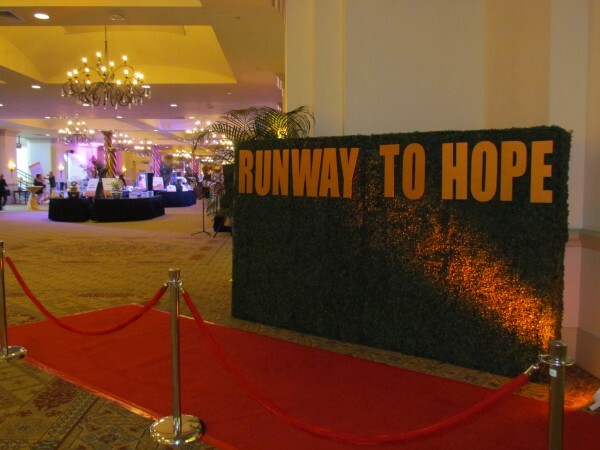 Inspired by Vanity Fair’s trademark step-and-repeat used for their red carpet, we created a Runway to Hope version for guests to strike a pose. We utilized all four of our grass hedgerows and spelled out “Runway to Hope” in large, bold letters that had been painted in metallic gold. 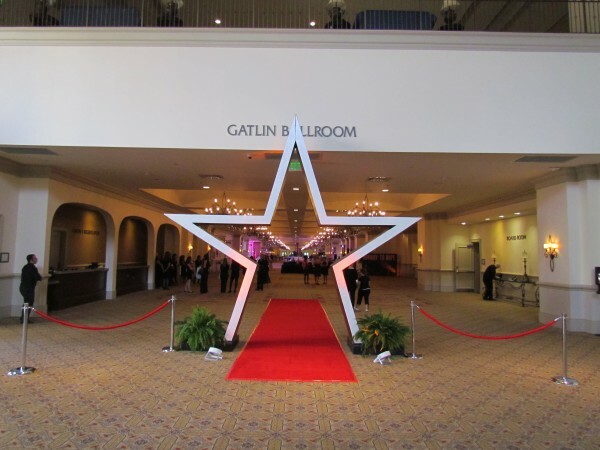 This photo op was complimented by another red carpet with a set of silver stanchions and red ropes. 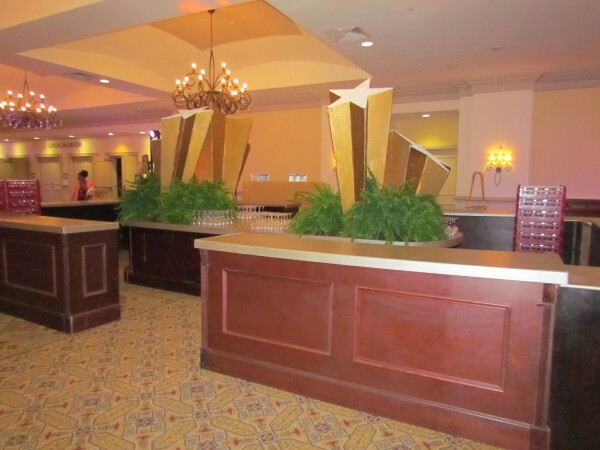 Our four-sided Mahogany Bar was used as the main bar for the cocktail hour. 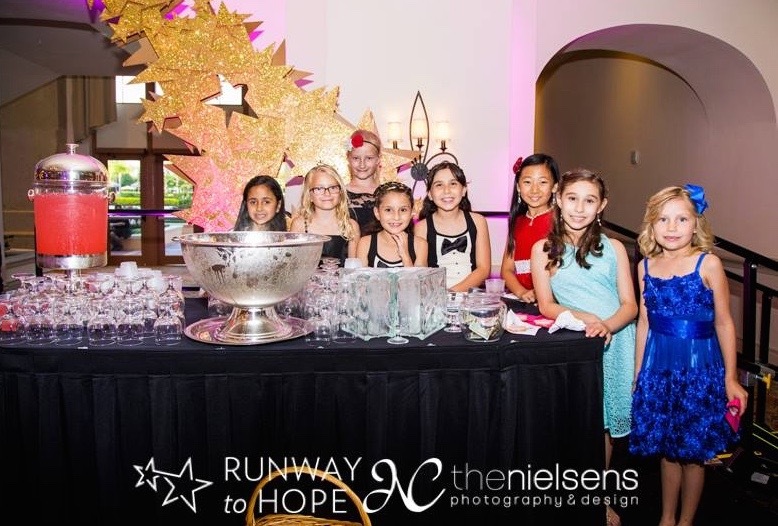 It was topped with our large Starburst Clusters and was placed in between the auction tables. 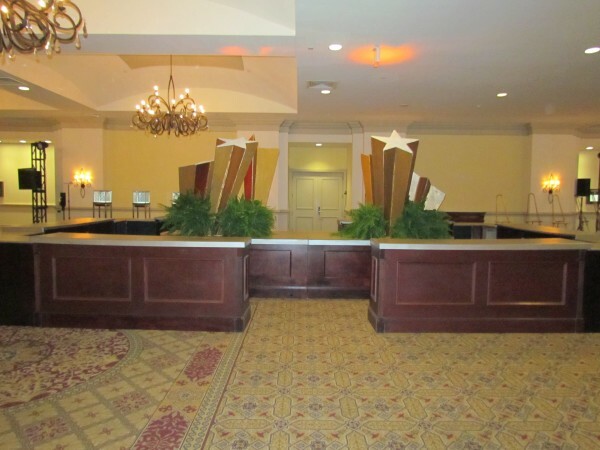 This created a great focal point for the foyer and attracted a lot of thirsty guests. 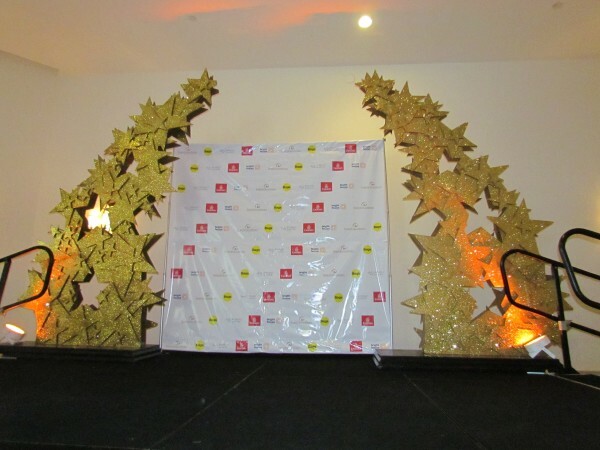 Gold Star Sprays were placed throughout the venue to add to the star theme. 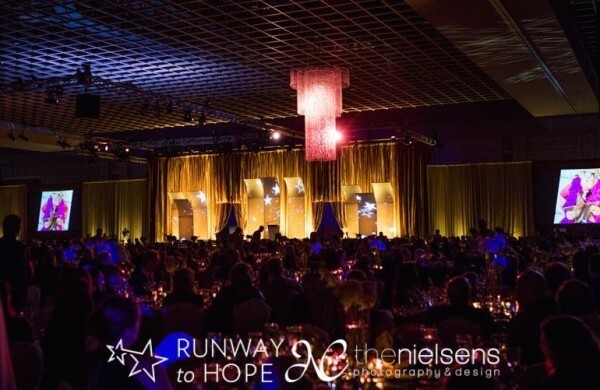 One set was used in the VIP room where guests were able to take photos with the hosts, Giuliana and Bill Rancic. 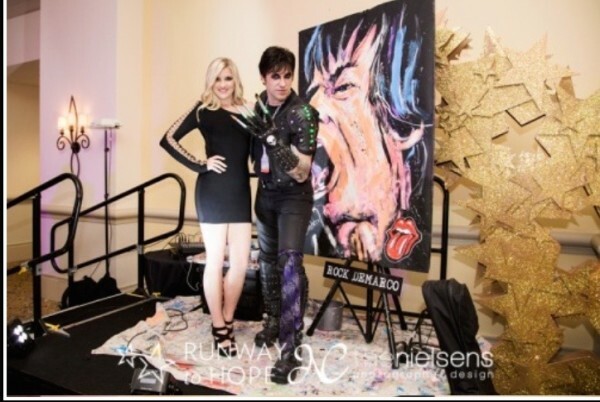 Another set of Star Sprays were placed in different locations around the foyer as stage enhancements; one was used as a background for a Pink Dreams Lemonade stand and the other was used as an enhancement for the art performance done by Rock Demarco. 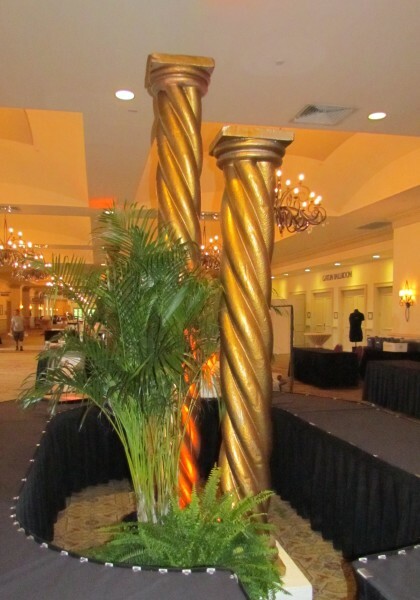 Gold ten and eight foot Spiral Columns were placed as pairs in the foyer where the columns created a stunning focal point in the center of the auction tables. The main purpose for this event is to raise money for pediatric cancer and by the end of the night they had raised a total of 1.17 million dollars, so needless to say the event was a complete success! 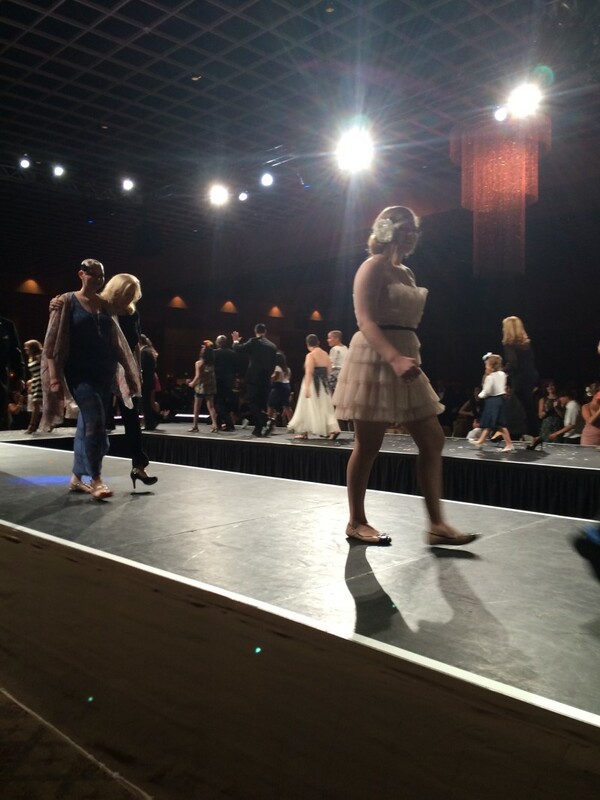 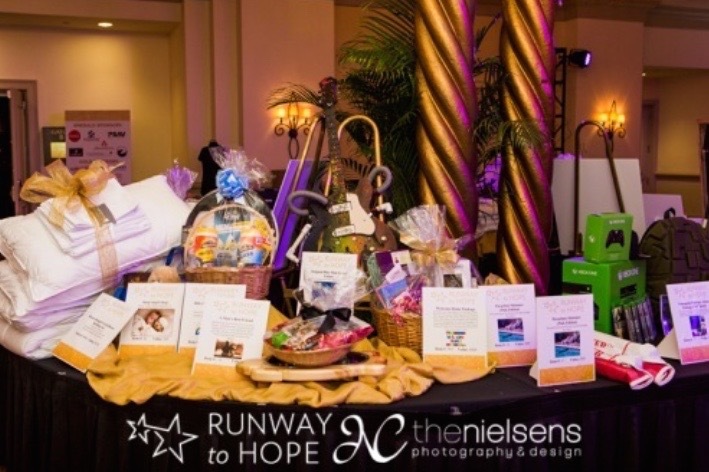 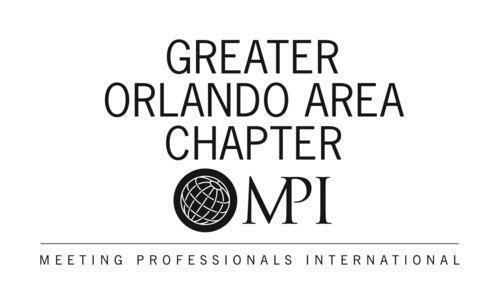 We were honored to be apart of this event and had an amazing time working on this event.